Killina U17 Girls Soccer March On To Another All-Ireland!! 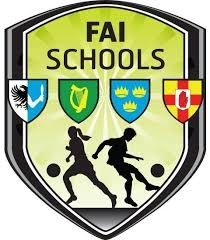 Home » News » Killina U17 Girls Soccer March On To Another All-Ireland!! Well done to our exceptional girls' soccer team on yet another fantastic achievement! Killina recorded a very impressive 3-0 win over Munster Champions St Peters Passage West from Cork on Tuesday last February 8th. This win qualified the girls for the U17 National final, their second National final in two years having won the U15 title last year. Played on the 3G pitch at Cahir Park Co Tipperary the opening exchanges were very tight especially around a congested midfield area. However due to excellent defensive work from Ava Dolan and Emma Hand the Killina girls gradually made their way into the match, creating some good chances which the excellent Passage West keeper was able to keep out. With the sides deadlocked approaching halftime, a moment of brilliance from Megan Daly and Becky Watkins setup Saroah Doyle who brilliantly finished the ball to the Passage West net. As expected the Cork girls started the second half in blistering fashion and were very unlucky not to be level after 20 minutes. However an excellent counter attacking move resulted in the ball falling to Becky Watkins who calmly slotted the ball past the goalkeeper to put Killina 2-0 up. With 5 minutes to go center back Emma Flaherty made a move up the field and played a defence cutting pass to Ava Dolan, who in turn fed Megan Daly to finish to the net. The final is fixed for Wednesday February 27. Venue and time to be confirmed. Ciara Glackin, Kaithlynn Spain, Ciara Heffernan, Emma Flaherty, Rachel Dillon, Emma Dolan, Ava Dolan, Emma Hand, Becky Watkins, Saroah Doyle, Megan Daly, Louise Molloy, Eivile Jankunaite, Lauren Dolan, Ciara Wyer, Sophie Davern, Aimee Brennan, Amy Kelly, Libby English, Saraid McDonald, Hannah McDonald, Katelyn Murphy, Ava O Brien, Marie Cantwell, Hannah Deavy.